The outside, corner of West Broadway and Larch. 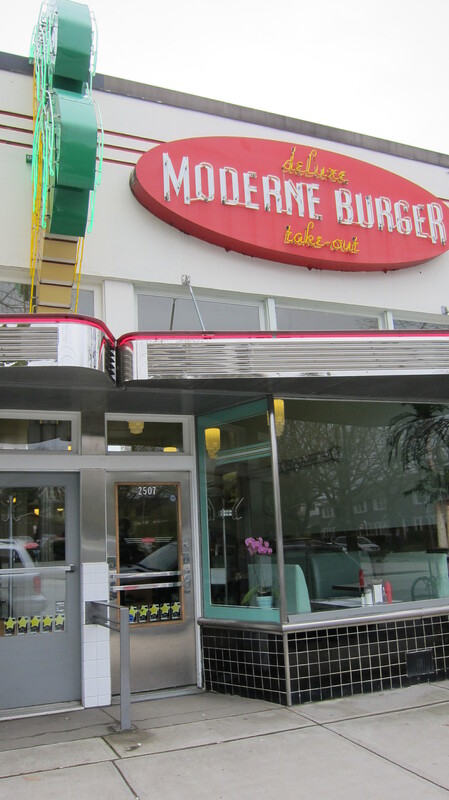 Moderne Burger – burger joint with a retro diner look; very open, checkered floor, seafoam green, and tonnes of booth seating. I’ve heard a few people mention the place, but finally tried it with the bf. 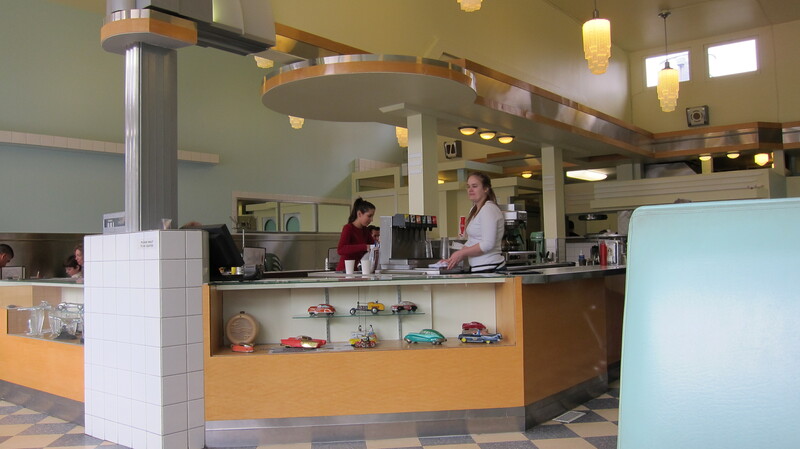 Simple and classic menu which includes burgers, grilled cheese, floats, shakes, and sodas. Their service was efficient, friendly – but then, what would you expect? 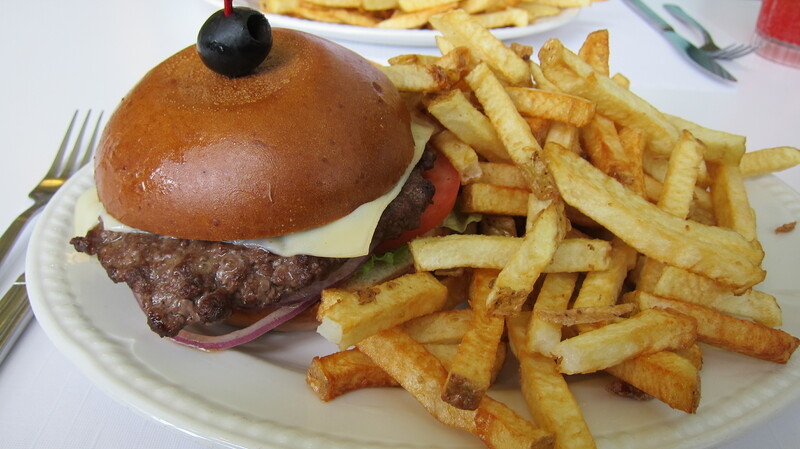 We had the steak burgers and fries, with one of their cherry coke specialty sodas. 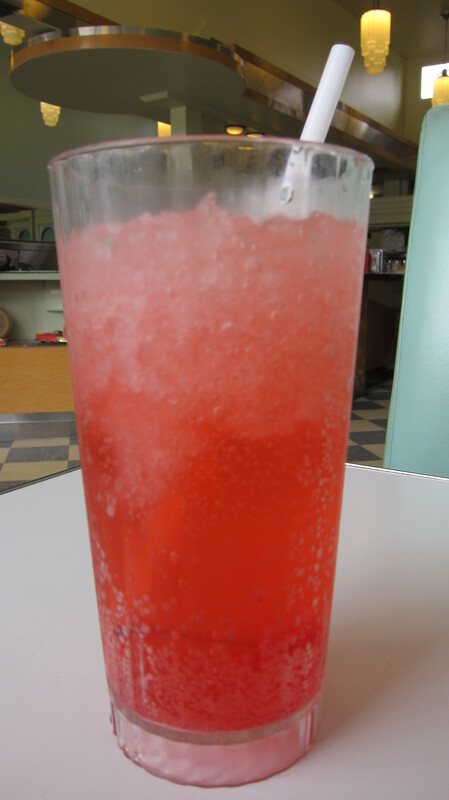 The soda was nice, but I’m not entirely sure if they make their own syrup and add club soda. I like fizzy but don’t worry, it’s not so strong that it’ll make you tear up at the first sip. Have to be honest though, that burger was very mediocre for me. I can name off the top of my head five other places that would be better. The toppings were nothing extraordinary, just your typical mayo, lettuce, tomatoes, onions, etc. The bun was full and fluffy, not super dense and hurray, no sesame seeds! The thing that disappointed me the most was the patty. It was one of those thin patties that don’t really add to the texture, flavour, or juiciness of the burger. Burger and fries, just missing a milkshake. Not a fan of those though. I did enjoy the fries though. They’re hand cut, much like the ones from Triple O’s but thinner. I have a feeling they’re flash fried, then fried again to order, which is the right way to get that crispiness and lightly salted. All in all, would I return? Maybe if I was in the area, but don’t count on me to travel out of the way just to come here.